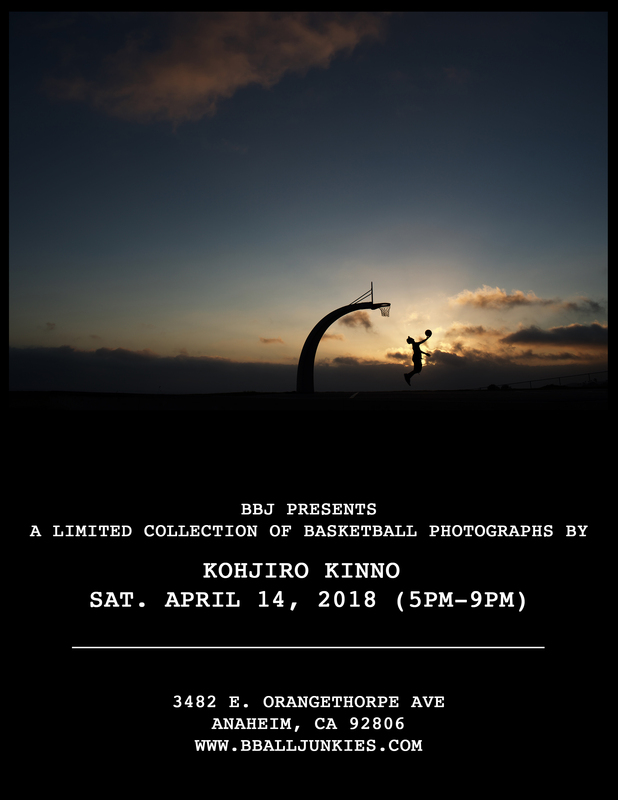 BBALL JUNKIES is proud to present a limited collection of basketball photographs created by Kohjiro Kinno. All photographs will be available for purchase on site and online. We’ll also be printing limited edition t-shirts of one of Kohjiro’s photographs. Snacks and refreshments will be available. Open for all ages. Kohjiro Kinno （金野孝次郎）is a photographer based in Southern California. While not shooting sports related images for editorial and corporate clients, he surfs, shoots in the ocean near his home and practices kendo in the evening.